Building a scene around stamped images - over at Murda Blog! 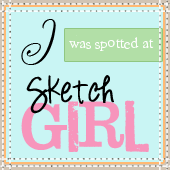 Here's a sneak peek at the project I am sharing at Mudra Blog today! I love this stamp and I am sure you'll love the project as well.